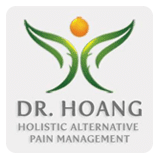 Are you searching for an alternative treatment for your chronic pain? Do you have an injury that won’t heal? LeTrinh Hoang, DO, and her team at the Center for Natural Family Medicine, with offices in the Carthay neighborhood of Los Angeles and Arcadia, California, take a holistic approach to medicine and offer prolotherapy, an alternative treatment that stimulates your body’s own natural healing power to help you get relief from pain and restore health and function. Call today or schedule your prolotherapy treatment using the online booking tool. Prolotherapy is an alternative treatment that helps your body regenerate itself to improve health and wellness. It involves a specialized injection that triggers your body’s healing mechanism and helps reach areas of tissue that osteopathic hand treatment may not be able to reach. The prolotherapy injection acts like an irritant and tricks your body into healing itself. When injected, it causes tissue inflammation, which stimulates your body to send over healing cells that reduce inflammation and generate new, healthy tissue. The team at the Center for Natural Family Medicine offers different types of injections so you get the most effective results. The traditional injection contains dextrose, a local anesthetic, and saline. But the holistic center also offers an injection with platelet-rich protein (PRP), a product created from a sample of your own blood. PRP is a concentrated source of all your body’s natural healing properties, including platelets, proteins, and growth factors. When injected into the injured area, it acts as an additional source of healing power and may speed up the healing and tissue generation. Prolotherapy may also be used to treat women who experience diastasis recti, separation of the abdominal muscles, or symphysis pubis dysfunction, stretching of your pelvic ligaments, after having a baby. The team at the Center for Natural Family Medicine also use prolotherapy as an aesthetic treatment to reduce the appearance of lines and wrinkles. What can I expect during treatment with prolotherapy? Your specialist develops a personalized treatment plan for you that includes the type and number of injections to ensure you get the most benefits. The Center for Natural Family Medicine takes a holistic approach to care. So while you may be coming to the clinic to get relief from your knee pain, you can expect to get treatment that’s focused on improving your overall health, not just your pain. Due to the nature of the injection, you may experience inflammation and pain after treatment, but the side effects don’t last long and can be relieved with over-the-counter pain relievers. You should avoid anti-inflammatories as they may hasten prolotherapy treatment. To learn more about prolotherapy, call the Center for Natural Family Medicine today or schedule a consultation using the online booking tool.